The EPSG database is a collection of definitions of Coordinate Reference Systems and coordinate transformations which is used by GIS and other geodetic applications. The ?European Petroleum Survey Group? (EPSG) was absorbed in 2005 by ?International Association of Oil & Gas Producers? (OGP). The term \”EPSG code\” is used furthermore. Entering a known EPSG code in TRANSDAT, automatically sets all the attributes of the associated Coordinate Reference System. Besides the usual GIS KilletSoft?s geodetic program TRANSDAT provides world-wide coordinate transformation and geospatial data manipulation. It is used by thousands of people with geodetic tasks at navigation, exploration and mining, civil engineering, surveying, software development and other technology companies, as well as governmental and university organizations. 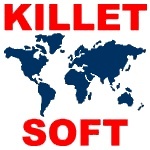 KilletSoft?s flagship product TRANSDAT is the leading coordinate transformation software for converting large amounts of spatial data from one coordinate system to another and performing advanced geodetic calculations. Since quite some time TRANSDAT supports all usual Coordinate Reference Systems throughout Europe. With the new release also all U.S. and Canadian Coordinate Reference Systems including the grid-based NTv2 and HARN datum transitions for the North American continent have been added. Using EPSG codes in the new release simplifiers the choice of the seven needed attributes continent, country, coordinate system, reference system, measurement unit, 2D/3D projection and, if necessary, meridian strip of a Coordinate Reference Systems. However, in most cases not the geodetic transformation parameters stored in EPSG are used, but rather more accurate parameters of the surveying authorities of the respective countries, which have been collected in KilletSoft?s transformation parameter database during many years. The release also includes the possibility to display computed coordinates on internal shape and data viewers and, on button-click, on external applications Google Earth, Google Maps and OpenStreetmap. New in this release is also the direct choice of measurement units from list boxes for the source and target coordinates, which are needed for example for conversions into feet, yards or miles. 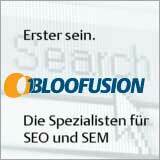 ?Our software benefits from customer feedback. With the release of TRANSDAT 17.75 again we have realized suggestions from our customers. So this way we continuously improve the quality of our software? stated KilletSoft Development Engineer Fred Killet.